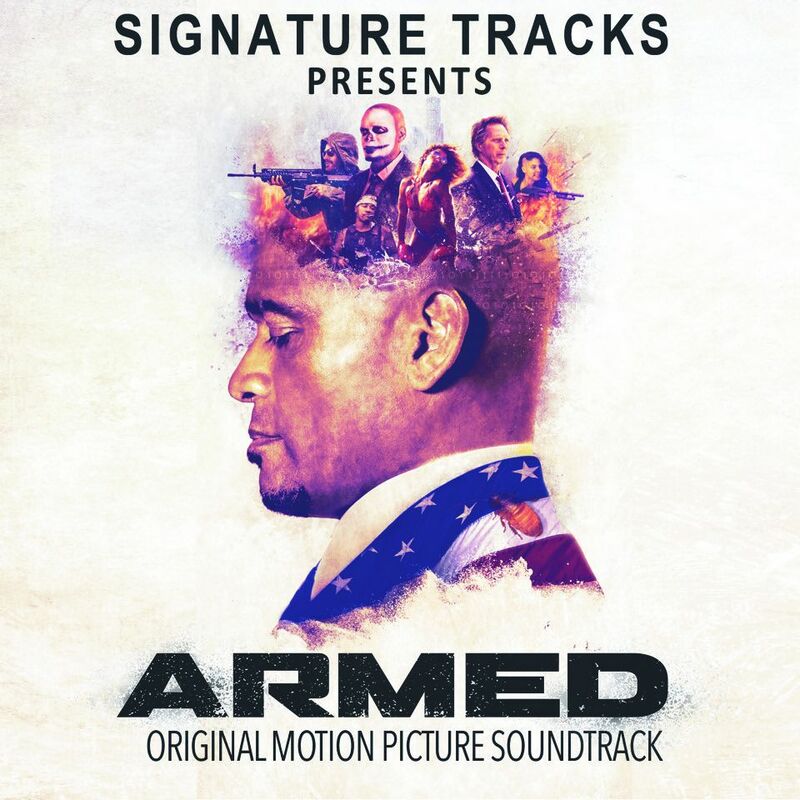 LOS ANGELES - Sept. 14, 2018 - PRLog -- Signature Tracks is thrilled to release their highly anticipated original motion picture soundtrack for the new crime drama, Armed, on September 14, 2018. The album is now available on most digital platforms including iTunes and Spotify. Signature Tracks is one of the most innovative music production houses in the industry, composing for countless high profile projects and networks such as NBCUniversal (Bravo, E! ), Viacom (MTV, VH1), A+E (A&E, History), Discovery (TLC, Discovery), Omnicom, and more. The album features an original score by the talented composers and team at Signature Tracks, led by co-founders Russell Howard, Adam Malka, and David Lasman. "Since our inception, we've recruited the highest level composers that had hit records on the radio but wanted a more consistent income stream. And we taught them how to score to content. Because of this, the transition from television to film has been seamless and we're excited for audiences to hear the score for Armed," shared David Lasman. "Mario is extremely hands-on. We worked directly with him when creating and editing the soundtrack," music supervisor and composer, Adam Malka, explained. "I would go to his house and endlessly watch pictures and demo music to the picture to see what his feeling is, and together we picked all the songs scene-by-scene. The result is something that we are all tremendously proud of and we look forward to the audience reaction." "The musical palate has some cool Latin underscores in certain scenes," continued Malka, "but the score and sound of the film, overall, has an electronic synth sound with vocals that are very haunting like a James Bond film." Russell Howard who most notably produced Jay-Z's Grammy-nominated album The Life and Times of S. Carter before co-founding Signature Tracks said, "Mario has an incredible vision and there is a reason that he is at the top of his game. The talent clearly runs in the family. On the soundtrack, you'll hear a couple tracks we produced that feature his sons, Mandela and Makaylo Van Peebles, rapping." Written, directed by, and starring critically acclaimed artist Mario Van Peebles, Armed follows the story of Chief (Mario Van Peebles), a former U.S. Marshall, who has fallen on hard times after a raid that went horribly wrong. As Chief struggles to get his life back on track, a former colleague reappears in his life and explains that all of the survivors from his unit are suffering similarly and that there may be a larger conspiracy at hand. Co-founded by Russell Howard, Adam Malka, and David Lasman, Signature Tracks is one of the most prolific music production houses in the entertainment industry today. With over 2,000 TV series, films, awards shows, and album credits, Signature Tracks most notably contributed music to the most recent seasons of ABC's The Bachelor and The Bachelorette. They've also provided original music for E's Keeping Up with The Kardashians, Universal's Unfriended, and CBS's People's Choice Awards, as well as the theme songs for Comedy Central's The Jim Jeffries Show and CBS's The Price Is Right. Signature Tracks has also been hired by Viacom (MTV, VH1), Discovery Channel, and A&E Networks to create a distinct musical palette for their channels, including scoring several shows and many on-air promotions as the networks seek to freshen their musical aesthetic and add production value. Shortly after high school, childhood friends Russell, Adam, and David moved from the suburbs of Philadelphia to Los Angeles where lead composer, Russell, met rap icon Jay-Z, who immediately loved his music. On the spot, Jay-Z purchased two tracks for his album, Vol. 3: Life and Times of S. Carter. This jump started Russell's career, leading him to a Grammy nomination and collaborations with DMX, Seal, and Lupe Fiasco, among others. David, who previously worked as a producer on shows like Millionaire Matchmaker and Alpha Dogs, was frustrated with the lack of original and exciting music for television. This motivated him to team up with Russell and Adam to start Signature Tracks, with the goal of specializing in delivering the most current sounds to picture while maintaining the important balance between costs and results for their clients.